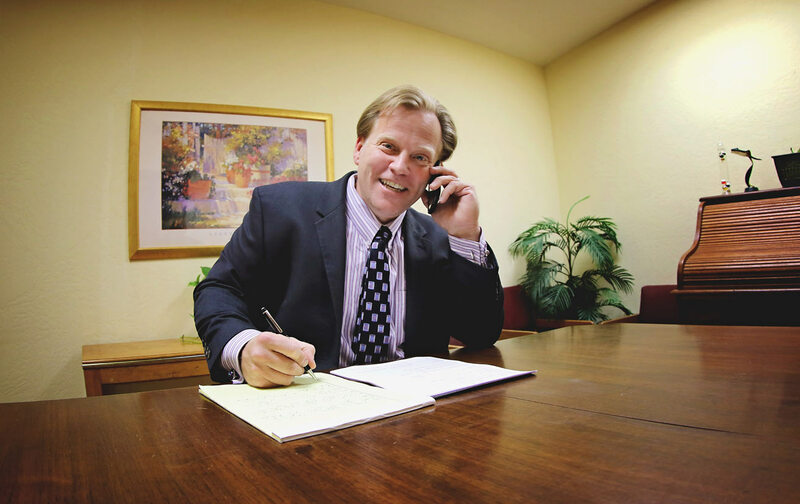 Our practice is primarily focused in helping you through bankruptcy. We also focus on medical malpractice, personal injury, and interesting civil cases. Of course, the specifics of bankruptcy vary somewhat from state to state. If you’re considering any of these avenues, contact legal representation before you move forward and make sure you understand the specifics in your state. List of Bankruptcy Basic Terms. Stephen doesn’t think you should have to suffer as a result of a medical professional’s mistake. We’ll use our decades of experience in personal injury law to investigate your case and pursue justice and compensation for your injuries. If you’ve been hurt as a result of a medical professional’s mistake, our skilled, experienced medical malpractice lawyers can help. While negligence is the root cause of most forms of medical malpractice, it’s important to understand a couple of key points. First, not every unfortunate result in a hospital is a case of medical malpractice. This area of law is complicated, and it’s vital you speak with a lawyer immediately so you can get a sense of the validity of your claim. This is not an exhaustive list, but it does provide a glimpse at the diversity of cases our medical malpractice lawyers have handled. We’re experienced and capable of understanding the most complicated cases. It’s crucial that you speak to Stephen immediately after you’ve been hurt. Many people don’t even know they have a potential medical malpractice claim, and thus lose the opportunity to pursue justice for their injuries. If you’ve suffered a devastating personal injury as a result of a medical professional’s error, you should speak to Stephen immediately. Personal injury law, also called tort law, covers any injury, wrong, or damage to a person, property, rights, or reputation due to the negligence or actions of another. Personal injury lawsuits are the most common lawsuits brought in the United States. Personal injury can be financially devastating to families who may incur exorbitant medical bills, coupled with the loss of income from a wage earner. If you have an accident, it is important to seek the advice of an attorney as soon as possible if you want to take legal action to recover the costs and expenses of your personal injury. Even if your particular case isn’t listed above, do not hesitate to call us for a free consultation. You may seek damages in a personal injury lawsuit for lost wages, lost future earnings, medical expenses, property damage and monetary recovery for mental anguish, pain, suffering, and general inconvenience. Our firm will secure the necessary records, police accident reports, and investigative expenses to preserve the evidence in your personal injury case. Civil court cases typically occur due to a dispute between two individual, or parties, in relations to a business conflict, property issue, or issue in society that the two opposing sides cannot seem to find an agreement on or settle for by themselves. In a civil court case, the defendant pays the person suing the defendant, referred to as the plaintiff, money if they win. In many civil court cases, the plaintiff may even settle for an offer that the defendant makes them. In some cases, the plaintiff may settle for an offer that the defendant makes. We do civil cases for people who are owed money or feel they have been misled or wronged. Our favorite occurrences of civil and interesting cases to help with, however, definitely have to be the interesting cases that help the “little guy”. We will fight Goliath if Goliath is the wrongdoer. Some examples of our most interesting cases have been an Amtrak discrimination case, when we fought the state of California on a constitutional issue as an employer, as well as many other odd cases to help people who might simply need assistance defending their rights. If you are owed money by someone that refuses to cooperate with you, or if you feel that you have been misled or wronged in a business, property, or societal situation, call the Law Offices of Stephen Labiak for a free consultation. We will be happy to listen to you and help you out. You may be able to do it, but be very careful. There are a couple different ways to go about debt consolidation: 3rd party company, equity loan, and unsecured loan. 3rd party company: This is what most people think of when you hear debt consolidation. You pay a company a fee up front and then they take over all of your debts. What is typically happening is that they are attempting to settle your debt. The problem with this method is several. First, there is typically a large up-front fee, usually around $4000, that is paid before any money will go towards your debts. So every month you send them $700, and the only thing that is paid is there fees. Second they typically charge a monthly fee of around $50. That is a high number for basically having a bank account with them. Third, you have no legal protections from creditors. If a creditor decides to sue, whether you are using a debt consolidation company or not does not matter, they can and will sue you. Fourth, this process can stretch on for years and years with no definite end date. Another word of caution, don’t believe that because a company is a non-profit that they have your interests at heart. All non-profit means is that all the money has to be spent and that it cannot be given to owners or shareholders. So if there is a million dollars left over at the end of the year, a non-profit can use that money towards salary, travel, or any other tangential business purpose to make the profit go away. Non-profit does not mean noble. If you are looking for a company that will loan you a pile of cash to consolidate $100,000 of 25% interest debt to a 5% loan for the same amount that is unsecured, this is very difficult. If you are a doctor it may be possible, but for the rest of us, it just isn’t out there unless you have collateral to pledge. Which leads to a second option . . .
Equity loan: If you have a house with sufficient equity, you can take out a loan against the home and use this money to pay off high interest loans. The rates on equity lines are usually fairly low compared to unsecured loans. You have only one payment, a lower rate, so what is the catch? The biggest trap with these loans is not the loan, but the behavior of the person taking out the loan. If the situation that caused the borrowing on the credit cards is not resolved, all that has happened is the delaying of the inevitable. Worse, if you trade unsecured credit card debt for secured debt, when you file bankruptcy, the secured debt is not going away unless you surrender the house. I know the math looks good on an equity line, but if the cause of the debt is not fixed, a year later the problem will be back with unsecured debt, except this time you will also have an equity line of debt to deal with as well. Unsecured loan: In very limited situations, for smaller amounts it may be possible to consolidate a small pile of unsecured debt, typically around $10,000 into one loan. If you seek this out, try a credit union as they are more likely to give out a more competitive rate on these types of loans. For most people, $10,000 is not going to change things dramatically, but if that is all you have on 3 or 4 credit cards, and just need a little help, this can be an inexpensive way to resolve a problem. Just make sure the cause of the debt is taken care of so you don’t end up with more credit card debt and the unsecured loan payment as well.